Saturday, April 20, 2013, 11 a.m. The Chitresh Das Dance Company is one of the world's leading Kathak dance companies. Through dance, music, storytelling, recitation and counting in the rhythmic system of Indian classical music, this visually beautiful performance will enlighten and mesmerize the audience. The Chitresh Das Dance Company & Chhandam School of Kathak was founded in 1980 and is dedicated to the preservation, promotion and education of Kathak dance and Indian Culture. Based in San Francisco, the company performs internationally and most frequently throughout the US, Canada, and India. 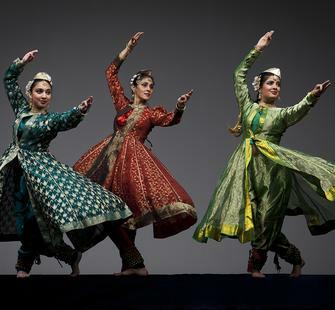 The Chitresh Das Dance Company’s mission is to produce exemplary traditional, innovative, and collaborative works of North Indian classical Kathak dance , increase awareness of Kathak dance, and train future generations to build local, national and international community support for the Kathak.